You can tell when long-time James Bond fans get together. They’re likely to say phrases that make no sense to the average person. “Cai…Cai…CAIRO!” In the pre-titles sequence of Diamonds Are Forever, James Bond is hunting down Ernst Stavro Blofeld. Apparently in Japan (no doubt a sound stage at Pinewood Studios), 007 throws a would-be informant through a couple of paper walls. Finally, Bond asks, “Where is Blofeld?” The informant says, “Cai…Cai…Cairo!” What makes the sequence is the informant’s mouth movements don’t remotely match the words he’s supposedly saying. For Bond fans, that’s part of the fun. “Hit me.” In the next scene of Diamonds, we see a casino in Cairo. You can tell by the guys wearing a fez that This Must Be in The Middle East. One is playing blackjack and says, “Hit me.” Cue Bond punching the guy out. “Opening crater…Closing crater.” Those are the only lines that a lower-level SPECTRE employee we’ve dubbed “Crater Guy” gets to utter in You Only Live Twice. Crater Guy, well, opens the closes the door to SPECTRE’s volanco headquarters in the movie. He’s not a mastermind (Blofeld is). He’s not even a henchman (Hans is). Crater Guy, no doubt, is a working stiff just trying to feed his family. Bond kills him but can’t kill Blofeld, the guy who started all this trouble. The blog suspects this could spur academic papers about how Bond tramples on the working class. “You made a shocking mess of my hair, you sadistic brute!” That’s a line from SPECTRE assassin Fiona Volpe (Luciana Paluzzi) in Thunderball after she’s made love with Bond. Occasionally, when Bond fans get together, they come up with, eh, more colorful variations of the first half of the line. All spoken in an Italian accent (matching Paluzzi’s), of course. 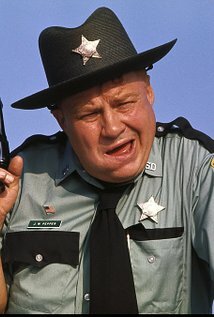 “What are you, some kind of doomsday machine, boy?” That’s probably the most memorable line spoken by Sheriff J.W. 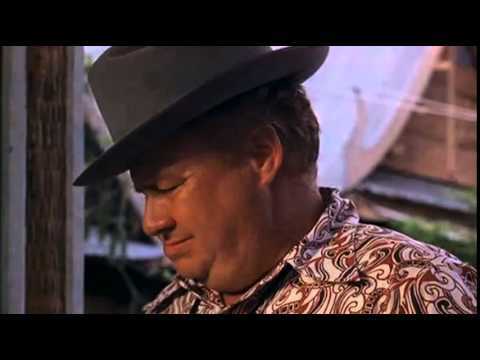 Pepper (Clifton James) in Live And Let Die. James passed away recently. Most obits referenced Live And Let quite a bit. That reflects how the New York-born actor stole the scenes he was in for the eighth James Bond film. Ladies and gentlemen, welcome to… Bond-a-rama! Australian James Bond fans (er… Oz is a pretty big place; let’s make that Bond fans in the Melbourne area) have a great opportunity to have some fun with the iconic superspy character. The live show Bond-a-Rama places four actors (three men and a woman) on a single stage to recapitulate all 22 James Bond movies in a single performance. Or, at least parody them — “pisstake” would be the local colloquialism — with a sharp eye for all the dumb stuff in the series, filtered through a basic affection for the cinematic saga. The acting quartet essays 40 characters, including all six screen 007s, in the show. Even the beloved Sheriff J.W. Pepper makes an appearance! Quantum of Silliness. 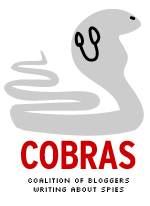 You can also take a look at the show’s Facebook page. 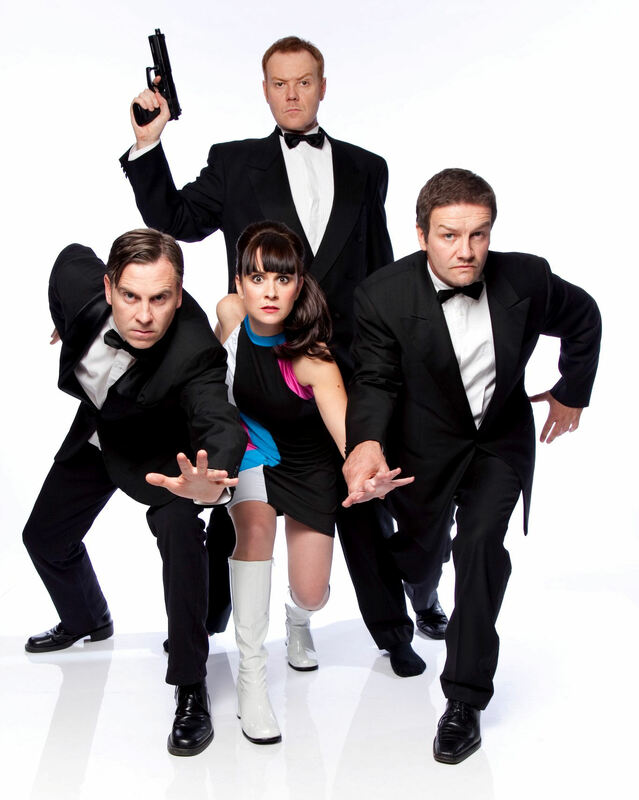 Bond-a-rama is being performed at Chapel Off Chapel, Prahran, August 3 to 21. For tickets, call + 030 8290 7000. Tell ’em HMSS ya! CommanderBond put up THIS STORY ON AUG. 1 while the MI6 Web site ran THIS LONG OBIT ON AUG. 2. We won’t try to duplicate those efforts but we do want to note Mankiewicz did have a big impact. He was credited on three Bond movies: Diamonds Are Forever (taking over from Richard Maibaum, with both getting credit), Live And Let Die and The Man With the Golden Gun (where Mankiewicz started and Maibaum took over). And he did uncredited work on The Spy Who Loved Me and Moonraker.